After more than a decade, Capcom has finally seen fit to revive the Strider franchise, placing the crew at Double Helix in charge of its revival. Initial reactions to the new comeback were mixed, with the developer's less than stellar track record causing some concern amongst fans at the time. They needn't have worried - the game's a real success, standing as a strong entry in the genre and possibly the best game Double Helix has made to date. Of course, if you dig deep into the history of the company - at least on the Shiny side of things - you'll find plenty of memorable platformers dating back the 16-bit days. In that sense, it almost feels like a return to form for the crew at Double Helix and a full realisation of the team's potential. 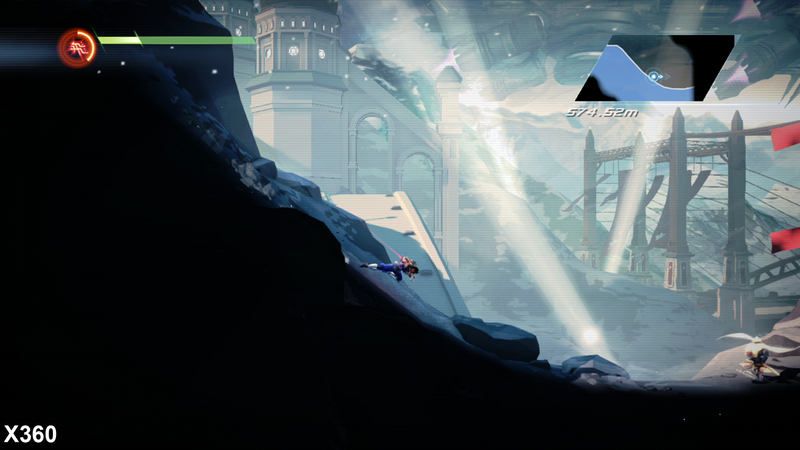 The achievement is all the more impressive bearing in mind that Strider was released simultaneously across five different platforms. 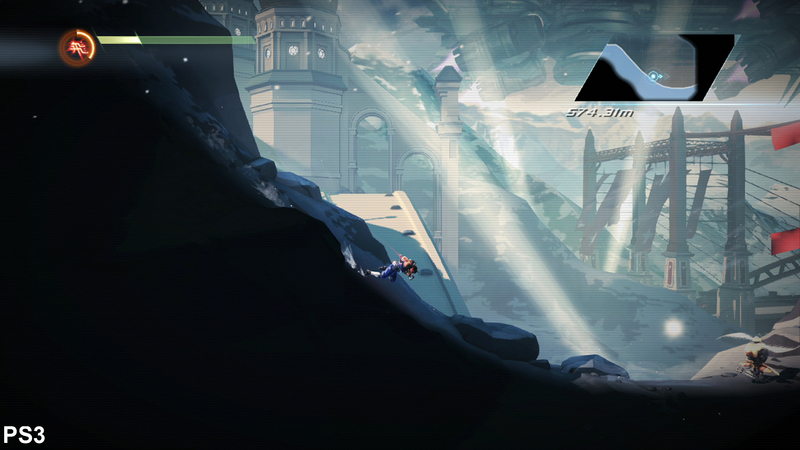 There are some profound differences that span the generational divide, and while Strider is a decent enough release on Xbox 360 and PlayStation 3, it's on the next-gen consoles where the game really shines. A lot of that comes down to the super-smooth update and low latency controls. Both the Xbox One and PlayStation 4 iterations of Strider operate at a full 1920x1080 and run at full-bore 60fps. 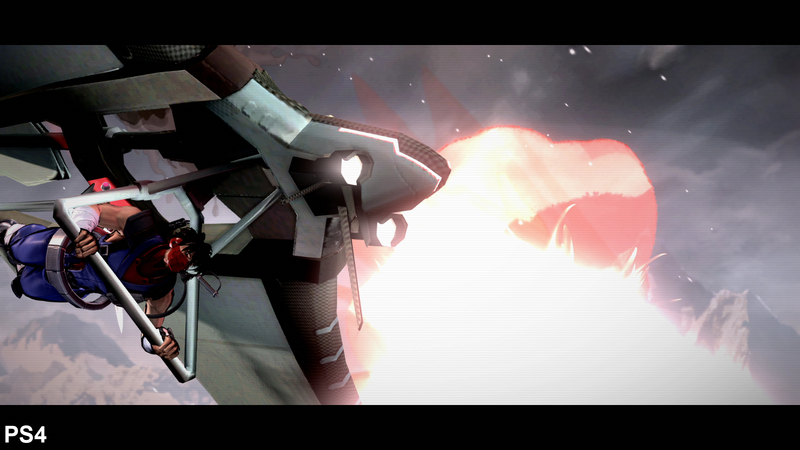 Anti-aliasing is of the post-process variety - seemingly based on FXAA or an offshoot. On a general rendering level, there's very little to separate the games. Indeed, on first glance it's difficult to discern any significant difference between them at all. Effects, models, and textures are identical throughout the run of play with just one surprising exception: texture filtering. It's not clear why but the anisotropic texture filtering employed on Xbox One is completely absent on PS4, producing a difference that once seen cannot be unseen - a distinct blurring of detail on angled textures that severely reduces detail in places. The nature of the camera work produces a lot of steep angles along surfaces that tends to highlight the issue. That said, due to the relatively narrow walkways in use, textures typically don't look out of place during normal gameplay. When viewed side by side, however, it becomes apparent that some texture detail is compromised on PS4 as a result. Considering the minor impact this would have had on performance, it's hard to imagine that this was an intentional decision on the part of Double Helix, and we would hope it's a simple switch the developer can adjust should the game ever receive a patch. Fortunately, this does not detract significantly from Strider's otherwise excellent visual design. With an aesthetic often reminiscent of Konami's ZOE2, Strider presents a sleek and polished world of metal and stone with a heavy reliance on clean lines, muted colours, and contrasted particle effects - an attractive design that manages to recall the original arcade game while leaving its own mark on the series. It is an example of a perfectly balanced, tuned experience that harkens back to the 16-bit days when games were often built to perfectly utilise hardware to deliver a very concise, polished experience. This is the type of game that could still hold up visually 10 or 15 years down the line. "Perhaps not surprisingly for a game that doesn't especially seek to push technological boundaries, PS4 and Xbox One versions of Strider are very, very similar." 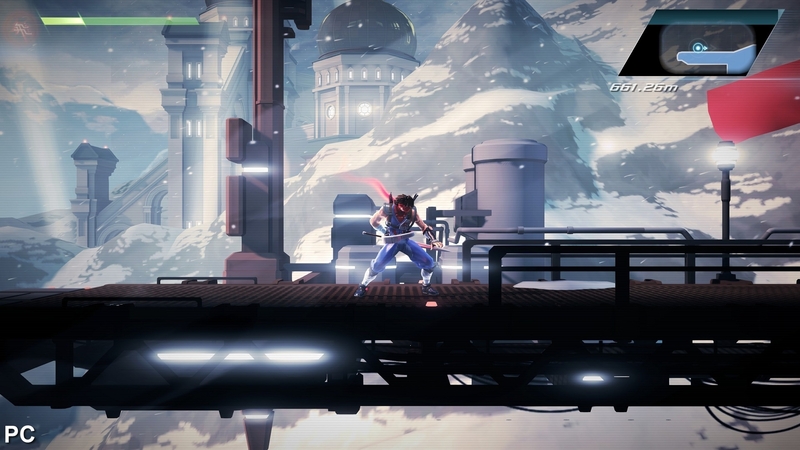 The Strider reboot on Xbox One and PlayStation 4. Use full-screen mode and 1080p resolution for the best possible experience. The only real visual complaint we might level at the game involves the scant few character-driven cut-scenes. Character models are fairly simple and no attempt is made to animate characters' mouths as they speak, which certainly feels a bit strange. That said, Strider wastes little time with exposition and manages to move as quickly as something you might have played on the Mega Drive, keeping these small issues from leaving any lasting negative impression. Another visual choice that some may dislike is the inclusion of thin scan-lines drawn across the image at all times. While we never found it distracting, there's no doubt that some will search fruitlessly for a way to disable them. 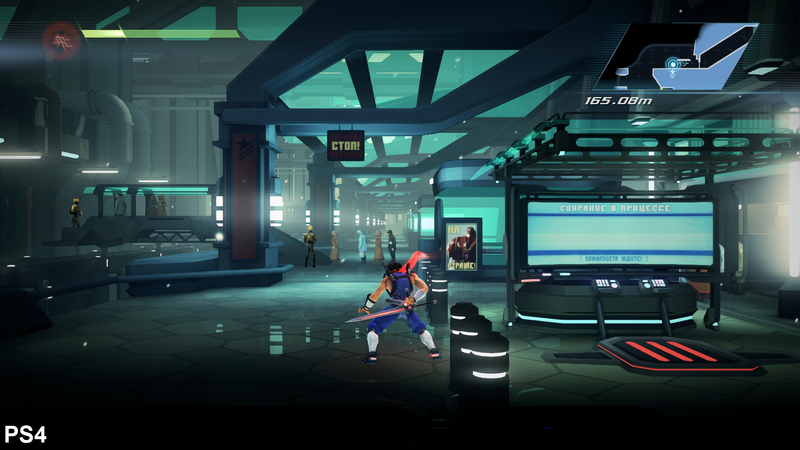 While we've focused our efforts on comparing the PC and next-gen versions of the game in this piece, Strider is a full cross-generational title, available on five different platforms. As expected, resolution is dropped to 1280x720 on Xbox 360 and PlayStation 3, while frame-rate is halved to 30fps. Oddly enough, the texture filtering issue present on PS4 isn't a problem here: floor textures enjoy additional clarity on both PS3 and 360, suggesting that we're looking at a bug on PlayStation 4. For the most part, assets appear to be on par with the next-gen versions with only shadow resolution and particle density taking any significant hit. The loss of resolution certainly takes its toll on the sharp visual design but the game is still very attractive, even at 720p. Given the choice it's difficult to recommend the last-gen version of the game if you have access to next-gen or PC hardware, but rest assured that the game is still quite lovely in its own right and worth playing if it's your only option. The very first moment of gameplay immediately reveals a flaw in the PS4 version as the poor texture filtering reduces the metal grating to a featureless surface. The tiled floor in this scene clearly demonstrates the texture filtering disadvantage on PS4 while highlighting boosted contrast, and subsequent loss of shadow detail, on Xbox One. The first dramatic descent reveals a densely packed background full of activity. This initial scene demonstrates virtually identical assets spread across five different platforms. 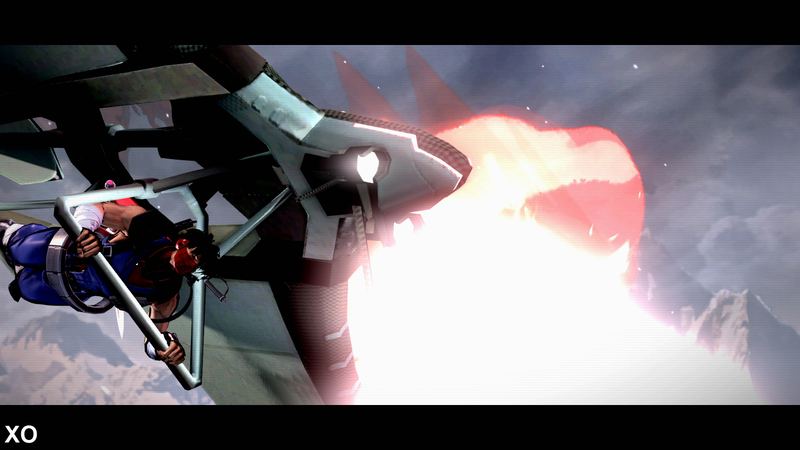 A close-up of Strider, unfortunately, highlights relatively low-resolution character textures. It's one area that could have been improved, though thankfully it doesn't rear its head during gameplay. What's impressive, however, is just how close a match the different versions of the game really are. Platform parity has always been something of a holy grail for multi-platform developers. When producing a game for two, three, four or more different platforms simultaneously, achieving this can be rendered impossible within time and budget constraints. While Strider may not appear overly ambitious on the surface, delivering such a fast and responsive game across so many platforms is no small feat and something many developers have failed to match in the past. There are only very subtle differences between the PS4, Xbox One, and PC versions of the game while the game is appropriately downscaled for last-generation platforms. Performance wise, the next-gen versions targets 60fps and manages to stay there 99.9 per cent of the time. Throughout the course of play we experienced just one very minor frame-rate hitch during a non-interactive sequence likely due to a small data access hitch caused by rapid camera movement. Hours of play on both next-gen machines left us without a single dropped frame during normal gameplay. Input latency is kept to a minimum here as well thanks both to good design and a stable frame-rate. It's clear that performance was a key objective while designing the game, just like Killer Instinct before it. Things are less ideal on last generation platforms, however, with a base frame-rate of 30fps further marred by performance dips while moving through larger areas. The Xbox 360 manages to hold its 30fps update consistently but slowdown and tearing rear their ugly head relatively frequently on PS3. While the game is certainly playable, it never feels quite right on these systems as a result of the slow update. Of course, Strider 2 itself was actually 30fps, but that doesn't mean it was the right choice at the time either. "Strider thrives on a precision, arcade-style response - and that's what it continually delivers on both Xbox One and PlayStation 4." 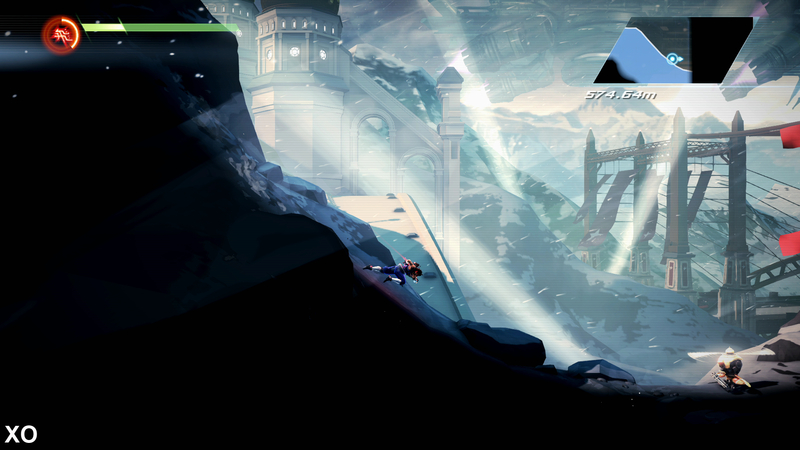 Lastly, to round out the comparison, we spent some time with the PC version of Strider. Going straight for 1920x1080 with available options maxed out produces an image identical to what we see on Xbox One. There are a few options available including ambient occlusion, shadows, anti-aliasing (FXAA), and resolution but they clearly exist only to support lower-spec systems as the maximum values offer no tangible improvement. While the game seemingly requires DX11, there's no evidence that any of the more advanced features have been implemented here. 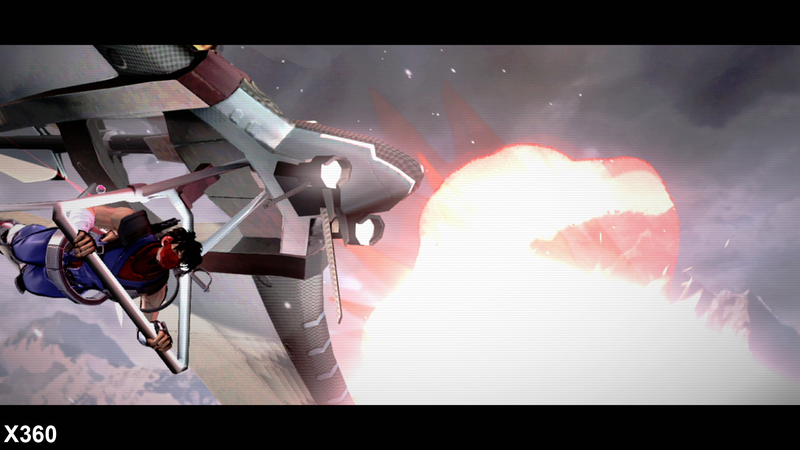 That said, on the PC, there's always a way to improve the experience and that comes in the form of higher resolutions. With relatively low system requirements, we were able to easily enjoy a rock-solid 60fps at 3200x1800 resolution on a system utilising an Nvidia GTX680. While lack of multi-sampling anti-aliasing is a disappointment, it is still easy to achieve improved image quality via a brute-force super-sampling approach. Interestingly, the PC version of the game is designed to operate at exactly 60fps. Game speed is tied directly to frame-rate with any drops below producing proportionally slow gameplay results. Running Strider on a less powerful machine using integrated graphics, we were able to create instances where the game was running at 50 per cent speed - something worth considering for laptops users. Resolution adjustments should enable full speed on a wide range of machines, but maintaining 60fps is critical with this game: one might almost consider it a particularly retro touch as this type of design reigned supreme during the 16-bit era. "We're pared back to 720p30 on Xbox 360 and PS3. The game's still fun, but it lacks the precision edge of the next-gen and PC editions." We see the conventional 720p30 on Xbox 360 and PlayStation 3, though the Sony platform maintains its update with fairly frequent bouts of screen-tear. The 360 can tear too, but it manifests far less often. Unlike many modern games, which give animation priority over response, Strider responds as quickly as you can tap the button. This simple change helps differentiate the game from most other modern games and helps create a sense of control that feels special and downright addictive - Strider is one of those games that just feels right. The combination of a high frame-rate, low latency, and priority placed on response over animation create a potent combination. That said, responsiveness hinges upon the response of your display. An LCD with significant input latency, for instance, could detract from the experience. At least we can be certain that the game itself does everything it can to minimise these issues. Anyone with love for old-school 2D action games simply must play Strider. 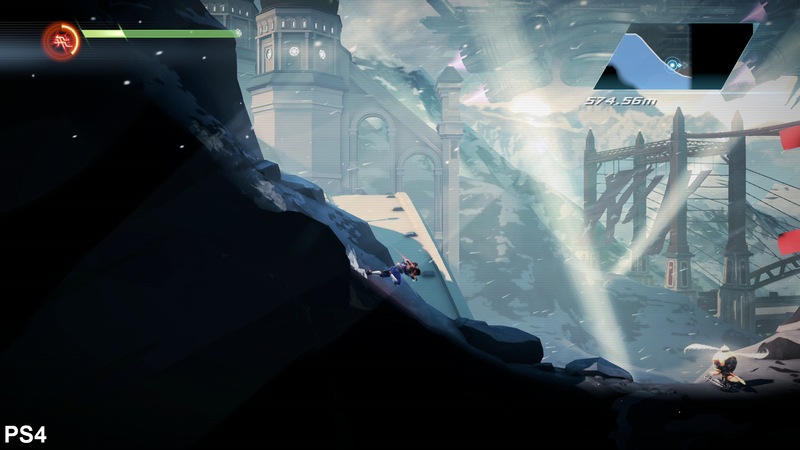 As an adaption of a classic franchise into a "Metroidvania"-style action game, Strider is a smashing success with some of the most responsive and fast-paced action platforming we've experienced in a long, long time. After various lukewarm attempts at reviving narrative-driven franchises, both Strider and Killer Instinct demonstrate precisely where Double Helix's strengths lie. With the company recently being acquired by Amazon to supposedly work on a new Android-based platform, Strider might just be its last major console game release. If that's the case, it's a shame it only just managed to find its footing before leaving the traditional console space. 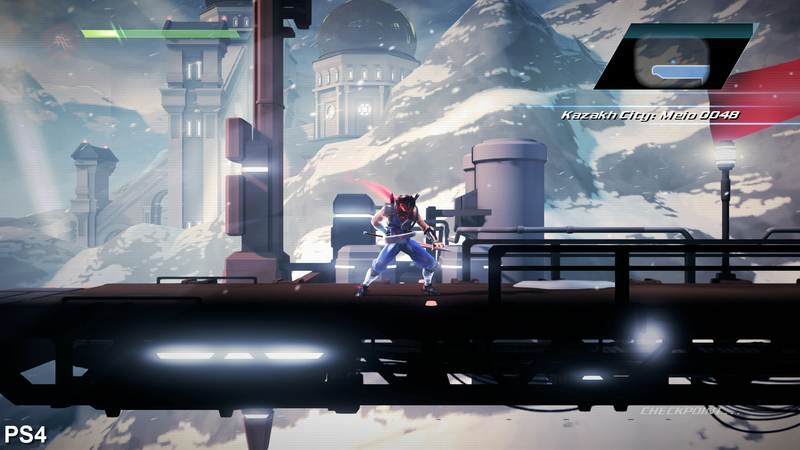 When it comes to selecting which version of Strider to play, we have to recommend sticking to the Xbox One, PlayStation 4, or PC versions of the game. 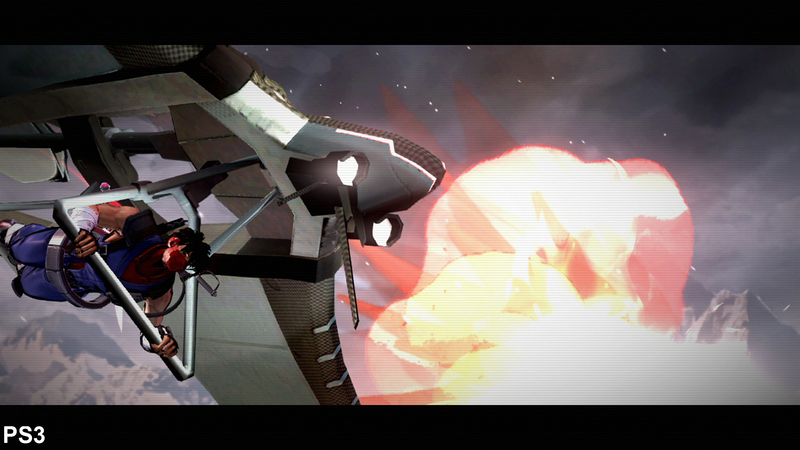 While the game was competently ported to Xbox 360 and PS3, the lower frame-rate does hurt playability somewhat. Between the other three platforms it's safe to say that all three are excellent performers that never drop a frame during gameplay. For owners of all three platforms it's worth keeping in mind the strange texture filtering issue on PS4, which does reduce image quality just a touch from the XO and PC versions of the game. In the end, though, any of these three versions of the game provides a polished, highly enjoyable experience.